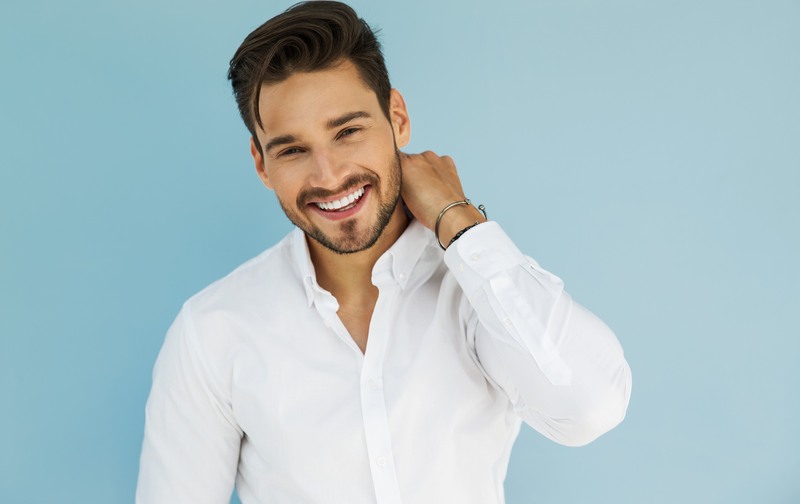 Long or short, curly or straight, thick or thin; no matter what type of hair you have, it’s handy to know how to look after your locks and why it is important to have healthy hair, especially as a guy! Hair reflects your identity and if you want to maintain the thickness and natural colour for longer, here are a few tips you should start to do to for healthier and stronger hair. Are you washing your hair every day with shampoo? You might be doing more harm than good by doing that. Washing your hair every day with some shampoos can irritate your scalp and strip your hair of the natural oils that make it smooth and easy to style. Instead, we recommend shampooing your hair once or twice a week to maintain moisture and hydration in the follicles. Unwashed hair may appear greasy when you start reducing your shampooing routine, but over time your hair will feel stronger and healthier as it retains its natural oils. Did you know shampooing before you condition is a myth? Instead, regular conditioning is the way to go as it helps protect and moisturise your hair! For even better results, try using an egg yolk as a conditioner to provide your hair with an abundance of proteins and essential minerals that strengthen your follicles from the root. When conditioning, we recommend wetting your hair in the shower, applying a light amount of conditioner to your hair and rinsing it off after a few minutes. Your hair will feel softer and thank you for the VIP treatment you are providing. It’s important to cut down on the heat you are exposing to your hair, like washing with hot water, keeping it unprotected in the sun and overusing heating products. These heating factors have tendencies to dry out your hair and break your hairs’ bonds, which can be damaging to growth and strength. Try washing your hair with either cold or lukewarm water, wearing a hat, and making sure any heating items you are using on your hair are on low heat settings. Did you know drying your hair can be one of the biggest causes of damaged hair? When wet, hair is vulnerable and weak, so when rubbed with a towel, it becomes stretched, causing cuticle damage, frizziness and split ends. To properly towel dry, shake out excess water and pat dry your hair in the direction it grows, preventing stress on the scalp and ensuring relief on your locks. Growing and styling a beard can be tricky, but the trickiest part is taking care of it! Much like the hair on your head, beards require regular shampooing, conditioning, trimming and cleaning to keep them healthy and thick. Maintain the cleanliness of your beard by using a high-quality beard brush to loosen any excess skin cells which will wash away in the shower! The condition of your hair reflects the overall health of your body, so it is important to take care of yourself! Try including Body Essential silicea MAN One a Day Capsules into your everyday routine to promote thicker and better-looking hair and also support your skin renewal process, which slows the signs of aging. Silicea also offers a wide range of silica supplements for skin, bone and nail development. Find the full range of our products here http://www.silicea.com.au/home/.